The Honest Company has Commitments, Principles and FREE Guarantee. Not only are they committed to bring the best, safe and eco-friendly products to the market, they are committed on so many other levels. Their vision is to reduce toxic chemicals in our natural and man-made environments, support peace, security and social justice, promote diversity and productivity, protect natural resources by minimizing waste and maximizing use-re-use. In my opinion I believe that Jessica and Christopher have created a unique company. They have great products, outstanding prices and their vision is being heard. I just love this company!! 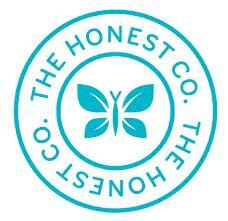 Check out The Honest Company! You can get a free trial of their non-toxic, eco-friendly home and baby products at www.Honest.com. Together we CAN make a difference! .